A goodly while back our friends at (the now TV advertised) Not On The High Street .com sent me a goody package - and I think this is the final item. 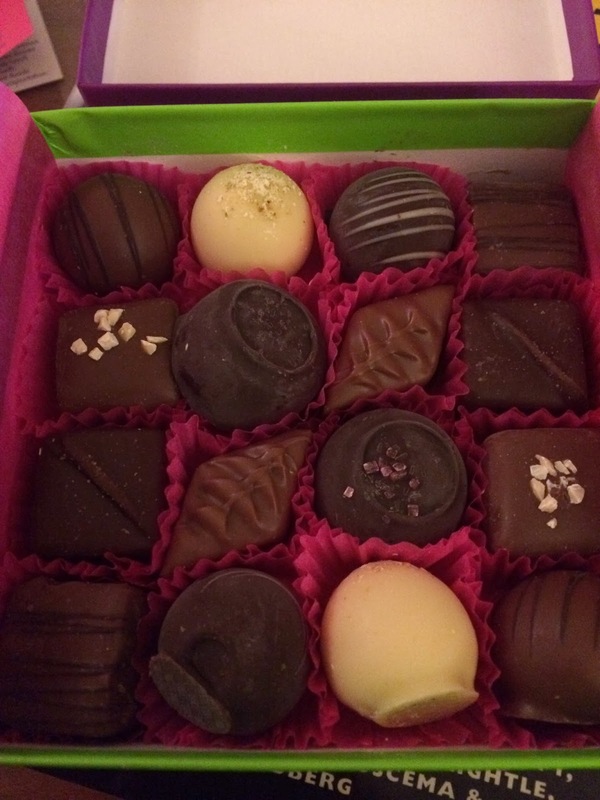 We've been nibbling away at these for some time and decided to take the rest of the box on holiday with us. 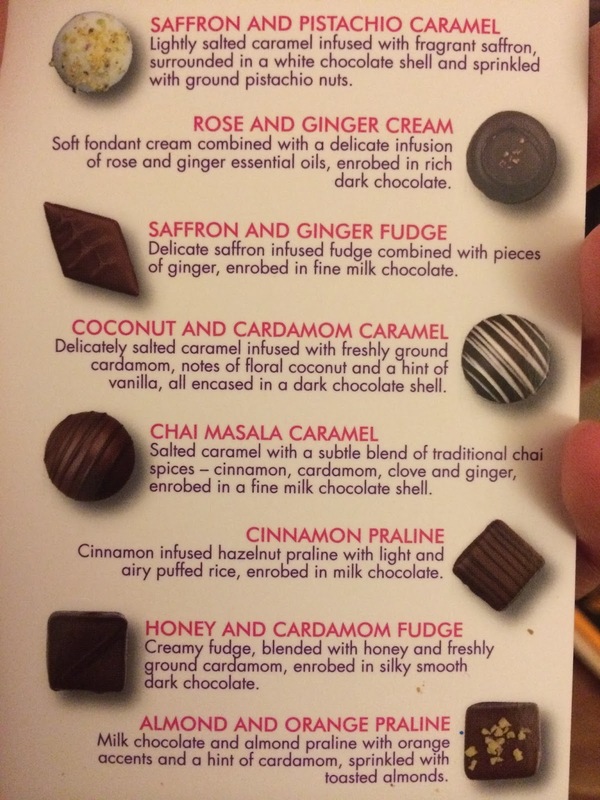 While the flavours are not anywhere near curry chocolate as I initially expected this is a good thing. The flavours are on the whole very delicate and well balanced. 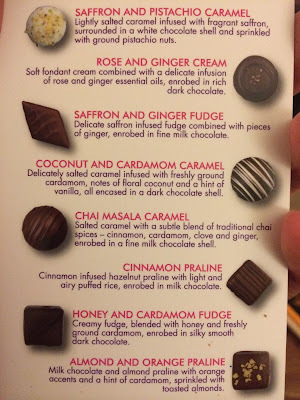 I think that my favourites were the Rose & Ginger cream and the Almond & Orange Praline due to the fruity contrasts, but there really were no bad chocolates in the box. The chocolate itself was understated but of a decent quality, and the fillings (which really are the star attractions) had flavours that really linger making this closer to a Hotel Chocolate experience than just a regular selection. If you have someone to buy for this festive season who likes chocolate and Asian dining then this may be what you are looking for. 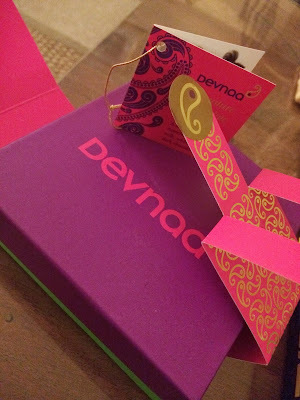 Recommended, but more as a gift than something indulgent to buy yourself.